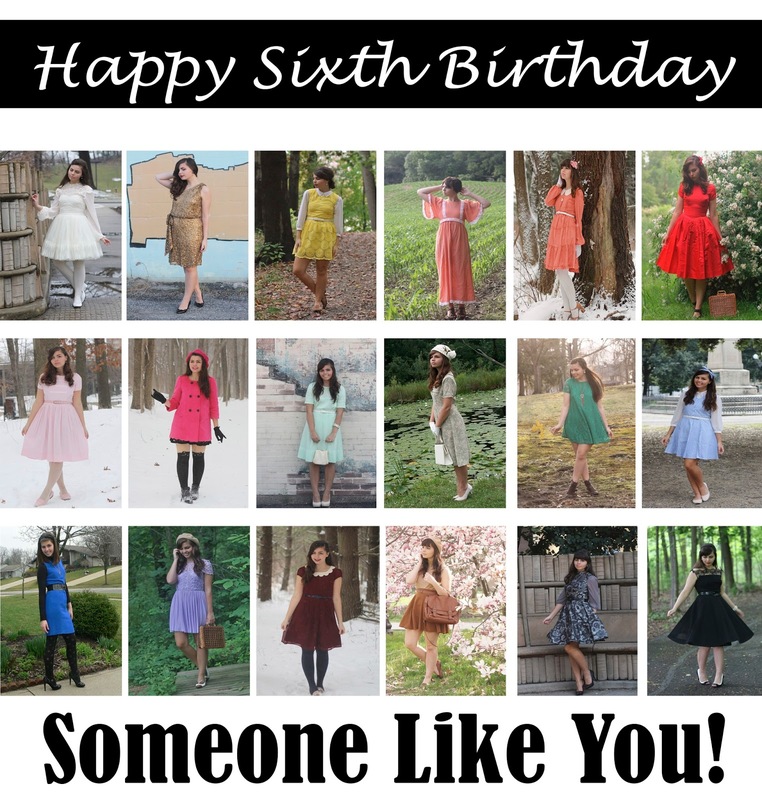 I can't believe it, but today my baby blog turns six years old! When I calculate how much that's a percentage of my life, technically I've been blogging for over a quarter of it! At 16 years old I would have never thought my blog would be where it is now, let alone that I would continue for this long. Someone Like You is like my best friend. It's always been there through everything that's gone on in my life the past six years, and has been an amazing creative space to create content (both writing and photography) that is me. Thank you all for being a constant support system of love and positivity for me throughout the years. Some have been with me since the very beginning, and I am so grateful for that. I cannot tell you that every time one of you reaches out or says a kind word how much it means to me...as a loner, the internet and you all have been a place of pure acceptance and welcoming that I have very much needed in my life. Congratulations! Long may it continue!! I realised too, when I celebrated my 10th blog anniversary earlier in the year that I had been blogging over a quarter of my life, scary isn't it! Yay! I hope your blog can last forever! I love it so much.